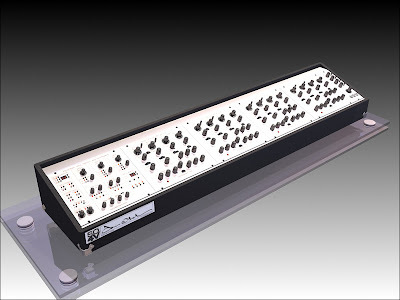 MATRIXSYNTH: New Tom Oberheim SON OF 4 VOICE. tells us, Tom Oberheim ist going to recreate the legandary Oberheim Four Voice , 4Voice Analog Synthesizer (1975) – but without a Keyboard or the Minsequencer, but adds MIDI, 2 sync’able LFOs and S/H for all and it also includes the „programmer“ on the left side. it also includes the assignment for 4 modules. those 4 SEMs are of course new SEMs in an all-in-one case. the price will be 4k€ which is about the price of a used vintage 4Voice today (if you finally found one). and – please cling to a chair or something now – you can add another SO4Voice to get a nice new style 8voice Oberheim that deserve the name. 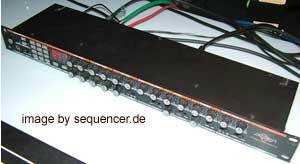 it also makes the envelopes ADSR-ones instead of ADS (original) – so this is not just once, it’s per voice. Neuer Oberheim Four Voice kommt..